This is your brain on Ruth Garbus. Hey, pals! The seasonal gloom and damp decay of fall has finally descended, forcing me to retreat into my musical cave and burrow into the albums that comfort my persistent existential crisis mode. Few artists capture this specific state of mind the way Brattleboro's Ruth Garbus does. In fact, I often loudly proclaim to the universe that Garbus is my favorite Vermont songwriter of all time. Each time I have witnessed her perform, I have been moved to cascades of tears. To my ecstatic delight, Garbus released a new EP, Hello Everybody, in September by way of OSR Tapes (formerly based in Brattleboro) and it certainly induces some deep thoughts. The release is one of the last from OSR before they dissolve in December, making it a rare and extra special transmission that should not be overlooked. Much has already been written about Garbus’ past projects and involvements, so let’s live in the present and focus on the details of this current radical collaboration. Explore the links provided to immerse yourself in the expanse of her creative realm. On Hello Everybody, Garbus is accompanied by the prolific percussionist Larry McDonald. McDonald is known for his work with Bob Marley, Gil Scott-Heron, and Lee “Scratch” Perry to name a few, so you can be sure he’s an expert at channeling beats from beyond our mortal realm. You may have caught a glimpse of him last year at Burlington City Arts on stage with the underground soul hero Hartley C. White. Garbus is also joined by her trusty vocal collaborator Julia Tadlock, OSR cofounder Zack Philips on bass, clavinet and tape effects, and Sam Lisbeth and Quentin Moore on ambient guitar. The EP was recorded and mixed by Philips on a Tascam reel-to-reel for that warm fuzzy tape feeling, and features additional mixing by local legend Ryan Power on “Black Bag.” In summary, Garbus has some awesomely talented friends. The EP is a total head trip from the moment it opens with title track. “Hello Everybody,” a brutally honest explanation of the bargains we make with our inner monsters to justify destructive behavior. Tape effects swirl around psychedelic electric guitar and irregular rhythms. “Grey Sweater” speaks of the “psychic sludge” that clouds judgement over expressive and unusual percussion with slow folk-flavored guitar chords. “Black Bag” combines the feeling of a spontaneous drum circle with songwriting that rings like Simon and Garfunkel, punctuated by booms of bass. “Vases” closes the collection with wandering guitar, folk vocal harmonies, galloping drum rhythm and enigmatic yet playful lyricism. 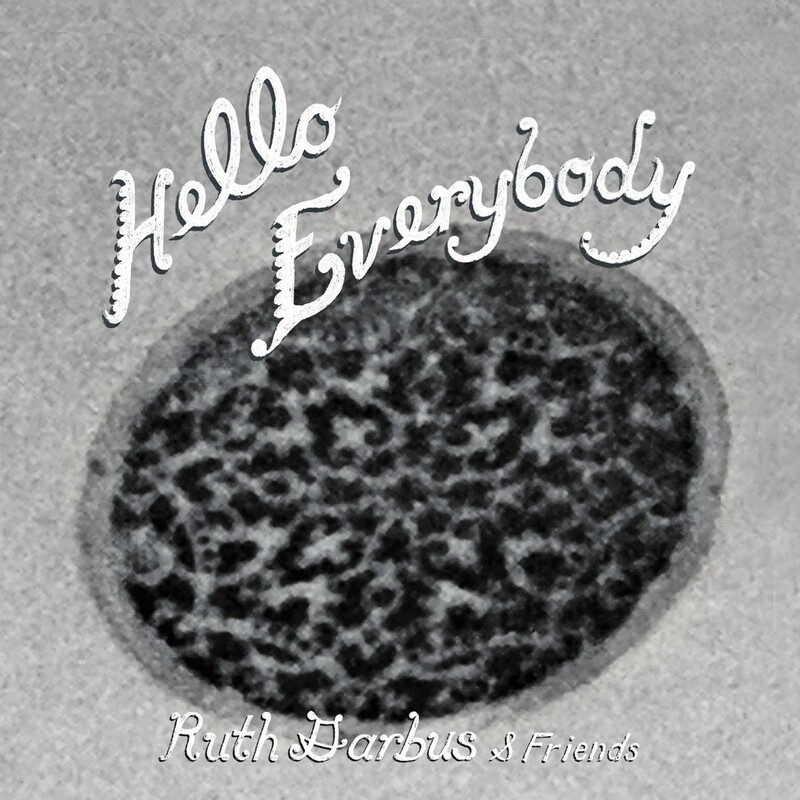 Hello Everybody is an exciting experiment for Garbus, especially as her past work has tended to have a smoother quality with minimal percussion. McDonald’s accompaniment lends an intelligent interpretation of Garbus’ existential wordplay. In all, the EP is a textural work of conceptual art in the form of song.Buy Hello Everybody via OSR Tapes before it sells out and you miss your chance forever! Then, go see Ruth Garbus with saxophone shredders Battle Trance at Arts Riot in Burlington on November 18. Contributor Amelia Devoid writes about music for Seven Days. She is also a performing artist and producer. Her work can be found at her website.